In a partnership with the Alaska Native Tribal Health Consortium (ANTHC), Vidyo is adding its visual communications and collaboration technology to ANTHC’s statewide telehealth network (AFHCAN). 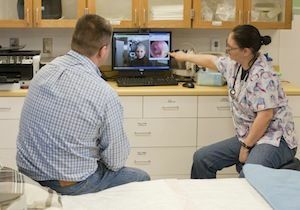 Thousands of Alaska healthcare providers can now conduct real-time, HD video consultations and exams with hundreds of thousands of patients in more than 200 locations. The partnership integrates Vidyo’s APIs with AFHCAN’s tConsult software system. Vidyo is adding its visual communications and collaboration technology to the Alaska Native Tribal Health Consortium's statewide telehealth network. ANTHC encompasses every city and village in the state of Alaska serving the majority of the state’s population through the AFHCAN telehealth program. Alaska is home to 700,000 people who are spread out over 660,000 square miles. This creates a challenging technology landscape that mixes satellite connectivity, high bandwidth, low bandwidth, high latency, as well as terrestrial infrastructure, which all make connectivity and communication huge challenges. The tConsult system was deployed across Alaska over a decade ago, improving healthcare in remote areas of the state. The software has expanded beyond its initial purposes of improving primary care workflows, like specialty clinic referral; post-discharge continuity of care; and billing. Vidyo’s APIs combined with tConsult will provide cost-effective, scalable, high quality video over standard IP networks. Vidyo’s technology is interoperable across devices from Mac to PC, to smartphones and older, legacy equipment. For telemedicine applications, Vidyo delivers end-to-end encryption, provides HIPAA-compliant security, and easily integrates into existing healthcare environments with support for a variety of medical devices and interoperability with existing conferencing infrastructure.